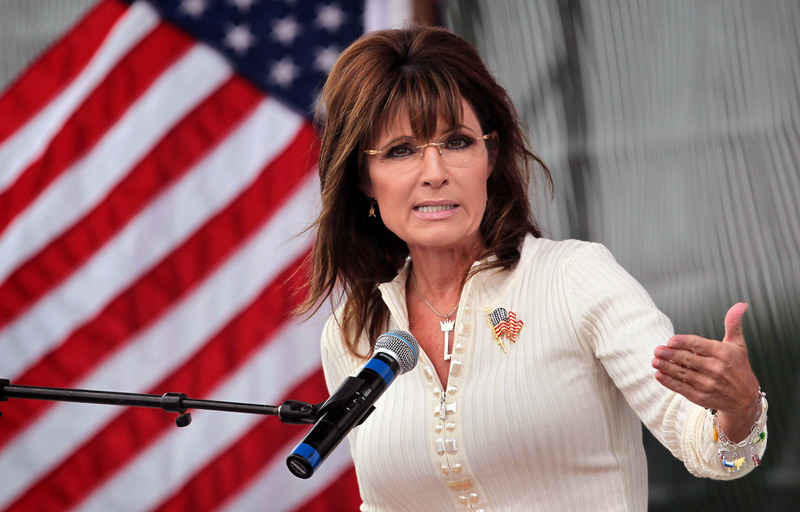 Sarah Palin hasn't built her reputation around being politically correct or particularly eloquent. Through the years, she's given us some pretty entertaining sound bites on the view from her house to her vague news diet. But in a new screed published Tuesday on conservative site Breitbart, Palin managed to both minimize domestic abuse and be blatantly racist in one fell swoop. The thrust of the column is that Palin wants to see President Obama impeached, which is surprising to exactly no one. She rambles on about his slew of offenses, focusing on the latest influx of Central American children arriving in the U.S., that should serve as reasons to remove him from office. She ultimately decides that "if after all this he’s not impeachable, then no one is." For all of the glossed-over evidence that Palin presents (for example, that Obama is allowing illegal immigrants to "kick off their shoes and come on in" to the U.S.), the former vice presidential nominee kills any scrap of credibility she had left within the first 30 words of her column. Enough is enough of the years of abuse from this president. His unsecured border crisis is the last straw that makes the battered wife say, "no mas." We've never subscribed to the idea that Palin is an arbiter of "pro-family," "pro-woman" values, though the McCain campaign certainly painted her in that frame. Still, using domestic violence as nothing more than a colorful metaphor to prove how much you hate our president seems like a new low. Not only is it unfairly casting Obama as the aggressive bully with an agenda behind destroying Lady America, but it is doing so in language that deals with a real issue. An issue, in fact, that has plagued Palin's state and been left unaddressed by the former governor. As for the "no mas"? It might have seemed cute to throw some Spanish in there to poke fun at the thousands of unaccompanied children suffering for the false hope that they will get to live in a country that isn't facing rampant drug and gang-related violence, but it isn't. For seemingly obvious reasons. As The Washington Post points out, even if Palin had managed to make a point for Obama's impeachment without stooping to further demoralizing already disenfranchised groups of people, it doesn't look good for someone with her, erm, history, to join the impeachment cheering. Oh, Sarah Palin. We liked you better when you were played by Tina Fey.